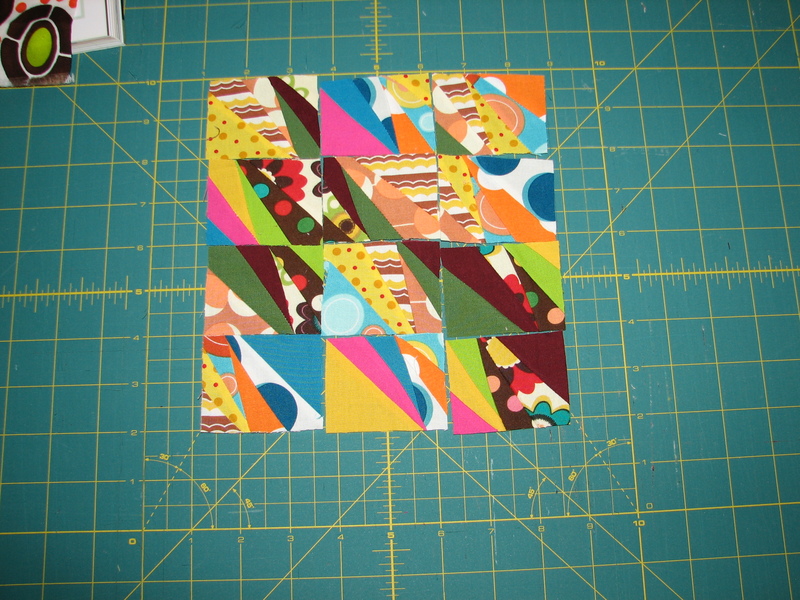 Here are my squares, pieced and ready to be pieced together. I think this is the final layout, but I might end up changing it again. 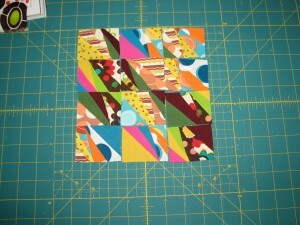 It is a very abstract approach to Bee Square’s project, but I like it. Even if it doesn’t make the final round of voting, I think the colors and patterns and lines are Seussian in all the best ways. I like it, and I like having a project where I force myself to think outside the box. If I could learn to do curves, I would have done that. But I’m happy with this so far.